This plug-in product can clear and protect an entire home or office space from the harmful effects of EMF radiation. 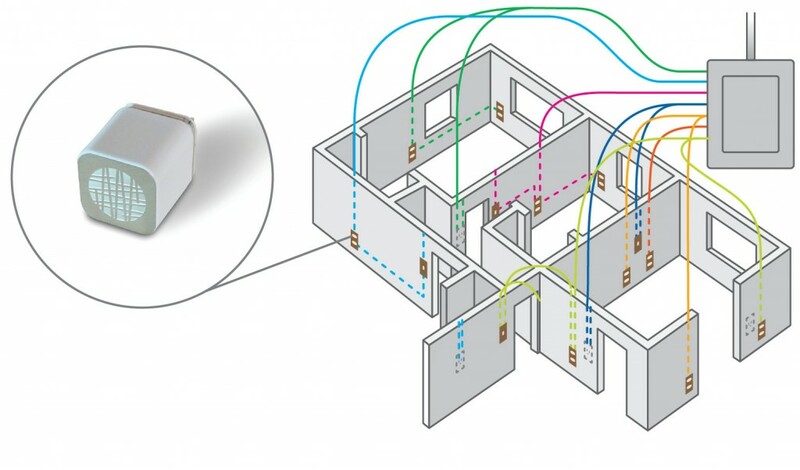 The EMF Adapter uses the building’s electrical circuitry to send a corrective, harmonizing resonance signal through the wiring of the entire space. 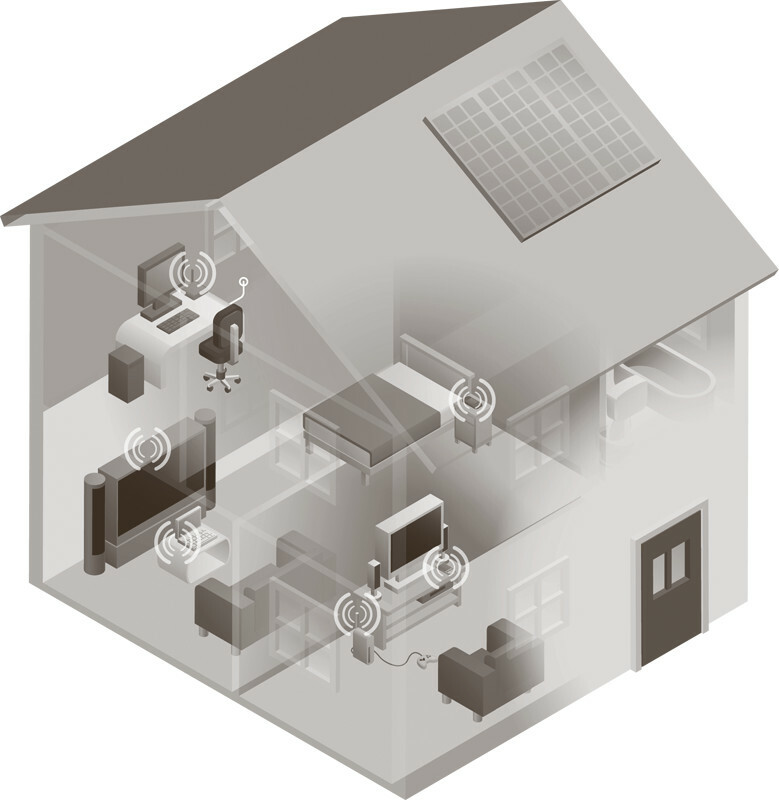 Just plug in one EMF Adapter to protect your entire home or office. Range: Radiates a transformative field throughout the electrical circuitry of the entire space. Will clear all electronics plugged into the circuit. You can use the EMF Adapter wherever you have a free socket. Because wiring between circuits is connected, you only need one EMF Adapter for each electric meter/circuit breaker.The plug clears the toxic effects to the source of the electric entering the building. The adapter harmonizes the electrical fields running through the circuitry, clearing and protecting you from the harmful EMF fields generated by anything plugged into the circuit. It even clears harmful EMFs generated by wireless devices because the router is plugged in. You can use the SafeSpace Adapter anywhere you have a free socket. It affects everything plugged into the entire circuit. It even clears wireless devices (Wi-Fi) simply because the wireless router is plugged into the main circuit. It sends a corrective, harmonizing resonance through any appliance or electronics plugged into the main circuit. You can use the SafeSpace EMF Adapter wherever you live, work or spend time, including your home or apartment, your office, your school or classroom and a hotel room – anywhere you can plug it in. All SafeSpace products come with a 30-day money-back guarantee. If you’re not completely happy with the product, return it to us within 30 days for a full refund. Can I use the EMF Adapter outside the United States? An adapter that fits two prong US plugs (SafeSpace product) to convert to the prong style of your international country will be necessary. This will allow you to plug the SafeSpace device into your wall socket. 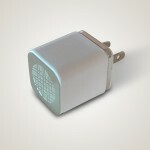 The SafeSpace plug is dual rated for 100 to 240 Volts AC, 50 / 60 Hz. This means that a device with this rating only needs a simple wall adapter mentioned above. Adapters DO NOT convert electricity. You need one for each circuit breaker panel. The Adapter technology is based on principles of harmonic resonance and creates change through subtle energy signals. It does not block EMFs but rather neutralizes the toxic effect by transforming the EM fields. It generates a harmonic signal that interacts with and transforms the EM carrier waves in the circuitry to a biologically safe wave. Our products are tested through measuring the positive effect on the body and the environment. Can I measure the effectiveness of the Adapter with my EMF meter? No current EMF meters are sensitive enough to show a change. Testing can be used to show the changed field effects the body. This is why we use DNA and qualitative testing. Effective testing requires an understanding of these principles. Can I use the two products together, or do they cancel each other out? All SafeSpace products are designed to provide a specific kind of protection. However, because they are based on the same principles of subtle energy and harmonic resonance, the products never conflict or cancel each other out, and they can be used together for added protection. How is the EMF Adapter different from the Radiant Room? 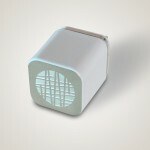 The Radiant Room clears a single room, while the EMF Adapter clears and protects an entire house or office space. How can I protect my entire home or office space? 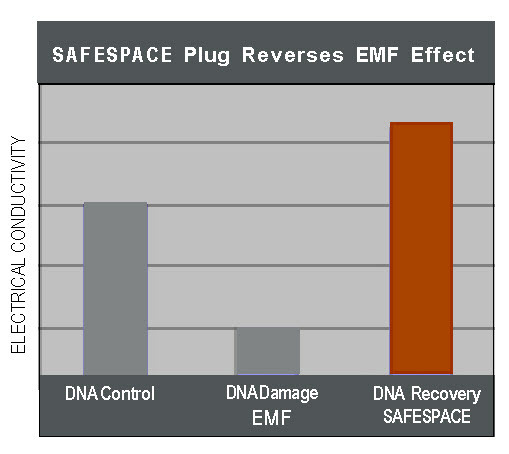 The SafeSpace EMF Adapter uses our latest technology to remove EMF toxicity from your whole home or office. You just plug the device into any wall outlet, and it carries a corrective resonance signal throughout your whole home or office circuitry. Since putting EMF Adapter into our kitchen three months ago, we have noticed a significant shift in its ambience. It feels much brighter and the energy lighter, and I don’t get so weary anymore. This has been confirmed by visitors (young and mature) who spontaneously comment on the feeling they receive there. We treated our whole home, but the kitchen is where we really notice it. I put your EMF Adapter plug in my office, and I was surprised how my physical and mental literally energy increased—the very same day! Since then, I no longer have to take naps, my creativity is at a higher level, and my general health even seems improved. I extend my deepest gratitude to you for developing this product. I certainly would not be without it. 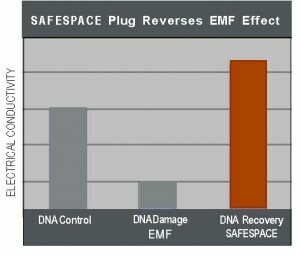 I recently received the SafeSpace EMF Adapter. I was already treating my house with other products, so I was skeptical. I didn’t expect to notice a difference. Immediately upon putting the plug in place, I felt more relaxed, as if my house was suddenly enveloped in a protective bubble. I am very impressed with the product and intend to recommend it to many of my clients and friends. This is a product that works! My partner and I felt like we were being microwaved having wi-fi and all the rest in our home. He finally started getting headaches and severe insomnia, and we bought the EMF Adapter. What an immediate difference we felt! Our environment felt calm and balanced, and the bad health effects went gone right away. Also we each bought the Safe Space II and wear them constantly...Thank you for these products that greatly helped our health. They really work!